The Land and Environment Court (LEC) has made orders granting conditional consent to a proposed residential subdivision at 79 Berkeley Rd, Glenning Valley. The original application was for a 263-lot residential subdivision, but this has been reduced to 127 lots. Amendments to the proposed subdivision plan have been made to address the presence of a White Bellied Sea Eagle nest tree on the site, and other concerns raised by Council. Wyong Regional Chronicle has gained access to a letter from Assistant General Counsel at Central Coast Council, Mr Martin Ball, to community members who had submitted objections to the DA. According to Mr Ball’s letter, the LEC made orders on November 9 granting conditional development consent “in accordance with the agreement between the parties, to the 127 lot subdivision”. The matter, between Central Coast Council and GV Nominee No 1 Pty Ltd, had ended up in the LEC following a “deemed refusal” of the DA by Council, which means the developer did not believe Council had dealt with their application in a timely manner. “Somewhat unusually, the applicant’s appeal to the court has been on foot for some 17 months,” Mr Ball’s letter said. The delay was due to the developer making an application to the Office of Environment and Heritage (OEH) for a biobanking statement under the Threatened Species Conservation Act 1995 (now repealed). The application was made in late 2016 after Council filed a Statement of Facts and Contentions that raised “a significant number of contentions concerning the impact of the subdivision on threatened flora and fauna,” Mr Ball’s letter stated. The application for a biobanking statement was processed by the OEH in July and has been issued. “The effect of the biobanking statement under the former Threatened Species Conservation Act, and which is in effect preserved by savings provisions in the new Biodiversity Conservation Act 2016, which commenced a few weeks ago, is to preclude any contention in these proceedings that the proposed subdivision is likely to have a significant impact on threatened flora or fauna (with one exception),” Mr Ball’s letter stated. 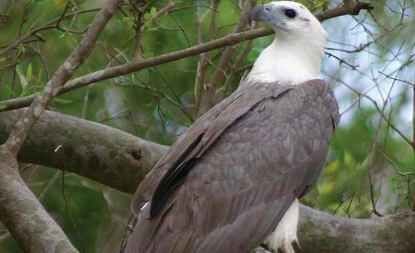 However, the White Bellied Sea Eagle is not covered by the biobanking statement. “In order to address the issue of potential impact on the White Bellied Sea Eagle, the applicant has made significant amendments to the proposed subdivision so that no development is to occur within a 250 metre radius of the nest tree. “Council’s external advice from a pre-eminent expert on the White Bellied Sea Eagle is that this is satisfactory. “Having regard to the significant reduction in the number of lots and other amendments to the subdivision which have been made by the applicant, and to the biobanking statement issued by OEH, the Council is satisfied that the proposed 127 lot subdivision is acceptable,” the letter stated. The Say No to Glenning Valley Development campaign leader, Ms Kylie Boyle, said residents were disappointed with the LEC decision. “Glenning Valley residents have been fighting to stop a development that will see the destruction of crucial wildlife habitat that is home to over 35 threatened and endangered species of flora and fauna, including feeding grounds for the critically endangered Swift Parrot,” Ms Boyle said. “With recent sightings of extremely rare local Koalas in the area, there is still hope that Koalas may reside in Glenning Valley,” she said. “A bio-banking statement will not protect this land, nor will it protect the threatened and endangered species that reside in Glenning Valley,” she said. “A bio-banking statement will not stop the critically endangered Swift Parrot from losing its winter feeding grounds. “This area of land was under environmental protection before the former Wyong Council rezoned it to residential in 2013. “The new Central Coast Council now has the opportunity to undo the damage the former Council did and show that they support sustainable development. “This area could be purchased back from the developer under the ‘Land Acquisition (Just Terms Compensation) Act 1991, and then Council could commit this land to be protected under the Coastal Open Space System or as a public reserve. “Another viable option could be that the Council offer the developer a suitable parcel of land in exchange for protecting this vital part of Central Coast bushland,” Ms Boyle said. “The Council saw fit to have the land zoned for environmental protection in the past, then something changed just before a Development Application was lodged before Council, and Council rezoned the area to allow large-scale development,” Ms Boyle said. According to Ms Boyle and the Say No group, in addition to the 127 lot subdivision, five other applications are currently being considered by Central Coast Council for residential subdivisions in the area. Another 79-lot subdivision, believed to be a second phase of the 127-lot project, is also on the cards, but a DA has not yet been lodged. “We ask that council reject all proposed current and future developments in this area and protect this eco sensitive environment,” Ms Boyle said. Independent Central Coast Councillor, Louise Greenaway said she found the outcome at Glenning Valley “very disappointing and I can understand the residents’ distress. “The difficulty for the current Council is that rezoning was done by the former Council and there was very little we could do to claw it back and it is just a really sad situation but given the population projections for this area we are going to have to be vigilant about preserving green field sites,” Clr Greenaway said. “Biobanking to me is such a disappointing process that I don’t think provides the level of protection needed, no one is actually banking any bio. “I guess what they are trying to do is create some sort of trade off but even though it was supposed to be some sort of trade off in protecting land somewhere else I think the practicalities of that scheme have fallen way short of that so we definitely are still losing a lot of valuable environmental land,” she said.